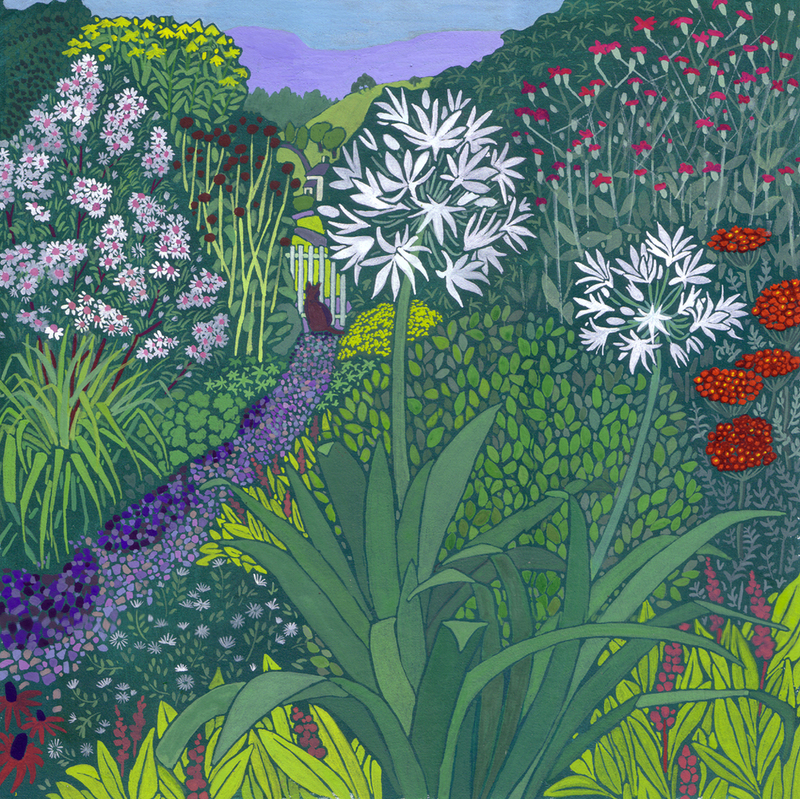 Inspired by her love of plants, in gardens and the wider landscape, Sheila's work is unashamedly decorative and optimistic. It is created as a response to something seen that is beautiful and is an attempt to remember and keep it. Each painting is developed from observational drawings made in countless sketchbooks. She uses strong colour and emphasises the pattern qualities inherent in everything, for example paths and hedges as well as in foliage to create paintings that are intricate and jewel-like. She paints on wooden panels and canvas in acrylic and gouache paint. Sheila is a professional artist who lives near Richmond in North Yorkshire and who after combining lecturing with painting for many years now concentrates on painting. She has taken part in North Yorkshire Open Studios for the last four years when her studio is open for people to visit. She has had exhibitions of her work in the north of England and it is widely collected. She studied at Canterbury College of Art and the Royal College of Art. The works illustrated below are intended to give you a taste of what the gallery has to offer, please email us on info@cambridgegallery.co.uk or call us on 01223 324222 to find out which pieces are currently available. Prices range from £650 - £1100.